On April, 11th 2019, a developer has asked how he can become a better WordPress developer. He asked that in the Advanced WordPress Facebook group. And the reason behind that question is that he is still writing the same kind of code he wrote 3 years ago. He also mentions to read from open source projects. Since we are here talking about WordPress, he mentioned several big and successful plugins such as WooCommerce, Easy Digital Downloads and Advanced Custom Fields. That’s a suggestion from Chase Miller. Writing unit tests can help you write quality code and also make testing easier when you’re publishing a new update. To be honest, unit testing was a scary topic for me as well but once I’ve started working on complex stuff, I had to go into it and learn it. It actually is quite easy once you’ve gone through the instructions and a few tutorials. Here is a guide from the WordPress core handbook on using PHPUnit. What I frequently check and use is the short guide from WP CLI handbook. Once you’ve written a few small tests, you’ll soon see how to configure the XML for PHPUnit to use and other parts that will improve your testing experience. Run the tests using phpunit (if installed globally) or vendor/bin/phpunit (if installed locally on the project through composer). This suggestion came from Russell Aaron and it’s quite a good one. I myself have gone through these handbooks several times. These two are the first I would recommend to go through. Of course, you don’t have to read it all. But when working on a specific part, try to find it in those handbooks and apply what you learn. Using WordPress Coding Standards is something great if you’re writing plugins and themes that are going to be pushed to the repository. These standards also help other developers read your own WordPress-related code. Dragan Đurić suggested to have a look at the coding standards. I would also suggest reading some other coding standards as PHP coding standards are not always (in most parts) same as WordPress coding standards. So taking a look at both it will give you a bigger picture on how people code and what you could implement in your own code. Working with other people has made me grow in code maturity consistently for four years now. I didn’t improve for ten years before that. It’s vital to getting better.. Code reviews, being around smarter people than me, projects and training. This is somewhat related to the first suggestion about getting code reviews. Working with other people will help you learn more and also faster. Some will guide you and some will be guided by you (as you become better). I’ve also improved my English a lot. This is my own suggestion and also came from a few others. What I’ve learned in the last years is that I’ve learned a lot while working with clients on Codeable and also by building my own plugins. make others happy when they try to extend your own extension. I started doing that when I was building my “Live Scores for SportsPress” plugin. With that in mind I also reduced my time thinking and figuring out where a function should go. Just by looking at their folders, I created my own and put the code in the “same place”. This has proven an effective method when you come back a few months later. 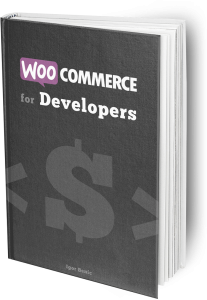 For example, when working with WooCommerce, you’ll likely have to add a feature to a product or maybe even create a new product type. You’ll have to read their code to understand where something goes and how you can extend it. Just by reading it, you’ll learn a bit about OOP and also hooks in WordPress. By that, I mean learn from tutorials of some of the well-known educators. Vova Feldman, Justin Labadie and a few others have mentioned that. 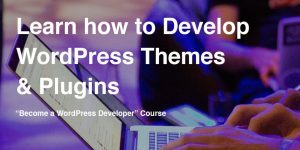 https://managewp.org/ – this is a list of various tutorials and articles in the WordPress community. There are a lot of others folks that you should follow in the WordPress community and from whom you can learn a lot. I also enjoy learning while listening to podcasts so you can read about that in my other article on “Podcasts WordPress Developers should listen to“. Growing as a developer is not always easy. Especially, if you are cornered in a company which does not try new practices and you have to work with a codebase that’s 10+ years old. That happens (it happened to me as well) but you should not let that stop you from learning more. 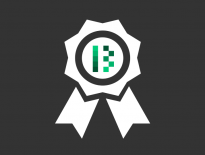 With the help of a lot of people in our WordPress community, you can become a good developer. If you have any other tips which could help people to grow as developers (be it related to WordPress or not), please share them in the comments below.